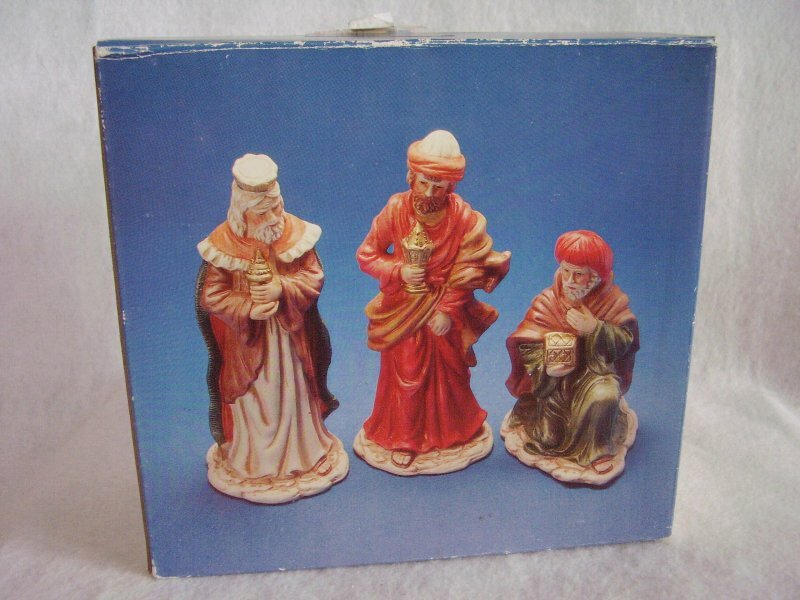 The Three Kings nativity figurines for your manger or creche. 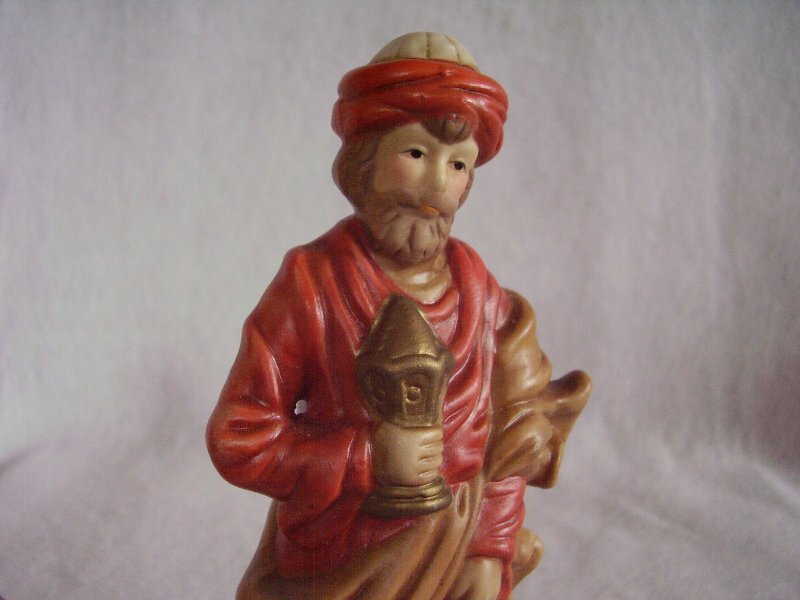 Made of ceramic. In gently used condition with no cracks, chips or scratches. Comes with the original box and it does show some wear. 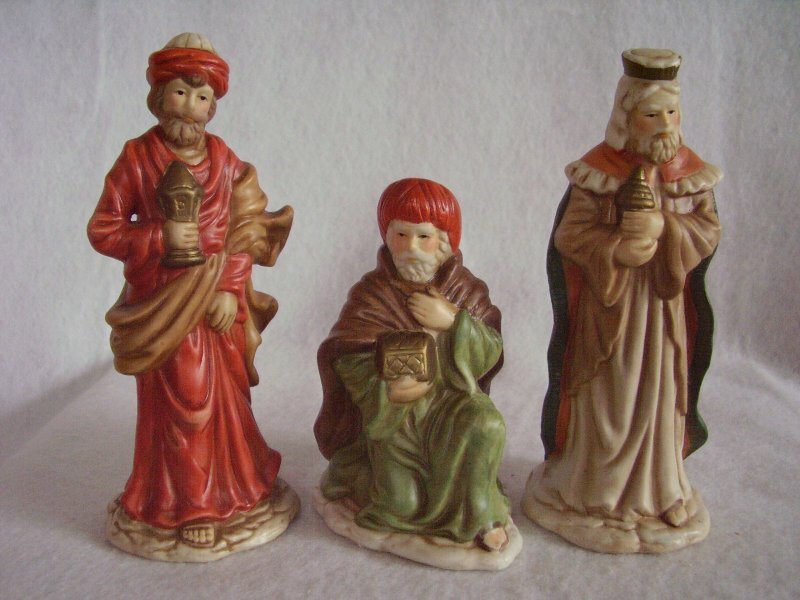 The Three Kings nativity figurines for your manger or creche. 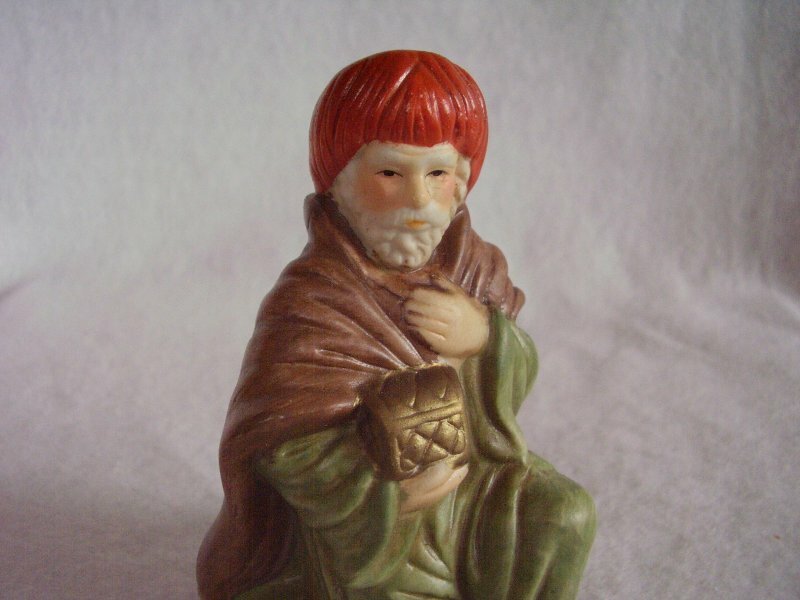 Made of ceramic. In gently used condition with no cracks, chips or scratches. Comes with the original box and it does show some wear. Was made for Frank's Nursery and Crafts. Perfect size for tabletop or mantle. 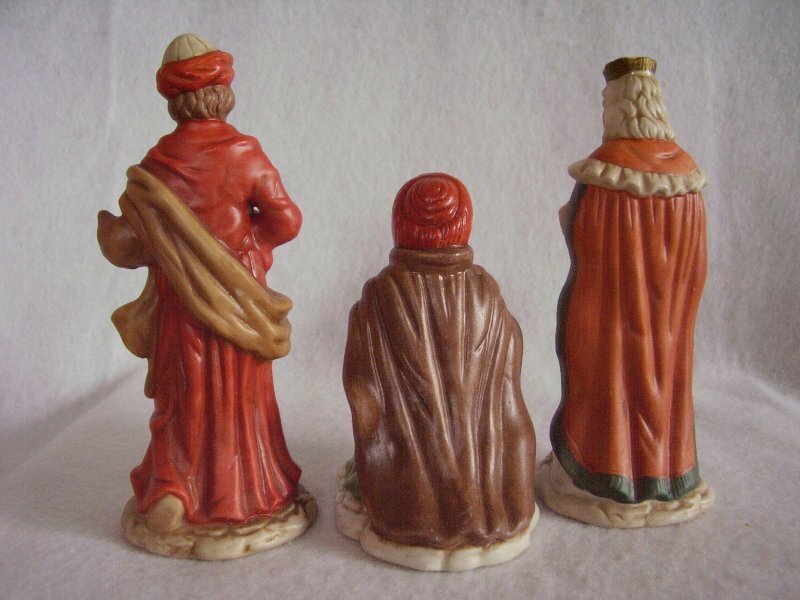 The two standing kings each measure 6 1/4 inches tall x 2 1/2 inches wide. 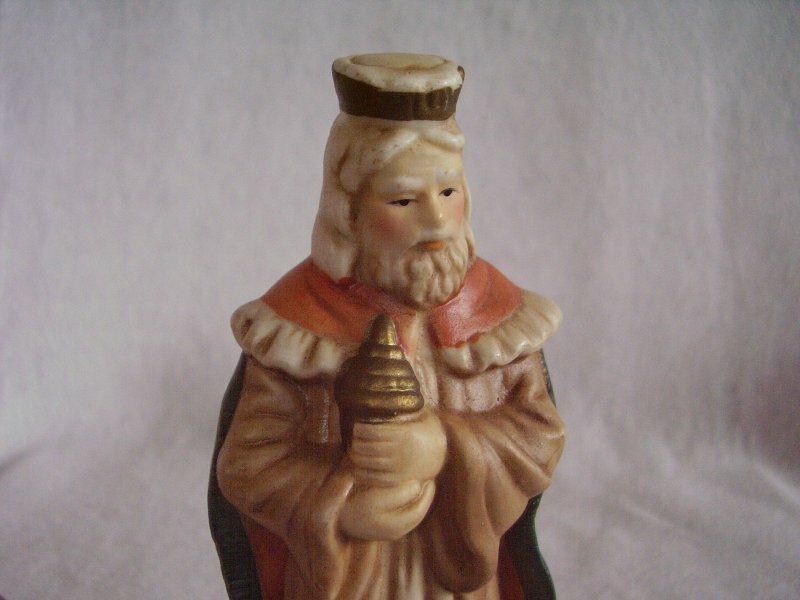 The kneeling king measures 4 1/2 inches tall x 2 1/2 inches wide.